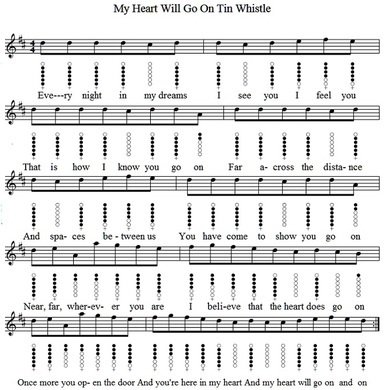 This is the main melody of the song without the ornamentation. After you learn to play the lead you can then play around with the tune and learn the intro. and whatever ornamentation goes with it. This song has being requested several times, it's quiet easy to play and I'm sure you'll pick it up after a few tries. It's the thyme song for the Titanic which was built in Belfast. The singer was Celine Dion, it was also recorded by André Rieu, Kenny G and Sam Bailey to name a few. 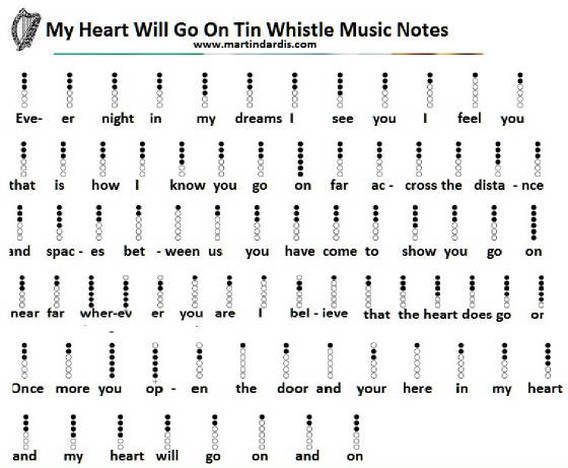 Although I'm play a D whistle the notes are the very same playing a C. The basic letter notes are included and are suitable for playing piano / keyboard, recorder or the flute, while playing with your right hand. Here are the recorder notes. 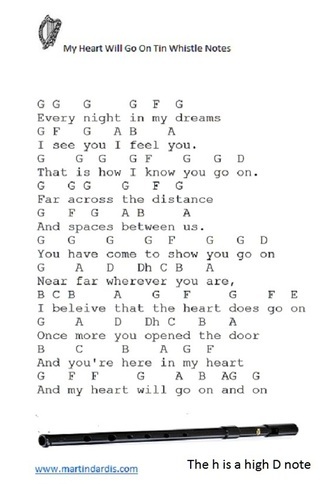 The few notes that are in lower case letters are the high notes past B. All the CAPITAL letters are the low notes below B. As you'll see, the F notes are # [ sharp ] and the c notes are natural. I recently found this website and I am astounded at how much work you put into it! Originally I just wanted to find this one song, but then my brother, who listens to Irish pub songs all the time, saw this site and suggested a few songs he knew of. You had every single one! Eventually we tried to stump you by thinking of the most Irish song we knew of, but you had them all. Keep up the great work!